There’s always a lot of buzz when Samsung announces a new flagship device. The Galaxy S9 and S9 Plus were unveiled just yesterday, proving to be a worthwhile upgrade over its predecessor. However, there has been a flood of rumors for the Korean giant’s foldable smartphone, a prototype for which was shown off to select personnel at CES earlier this year. Folding Phones Are A Reality! I need complete confidence that we’re delivering the best user experience when we’re launching a new category. Samsung’s foldable phone, as suggested by Koh, is taking longer to launch because it does not want to deliver a gimmicky experience to users. 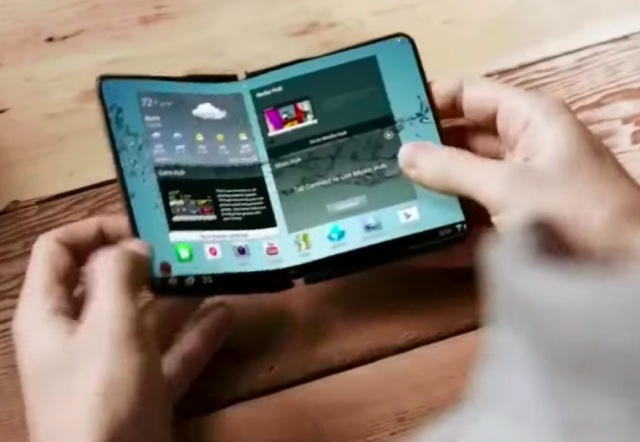 The company wants to ensure that the much-awaited foldable design is beneficial for the consumers. There’s no launch date known for the rumored Galaxy X as of now, but it’ll be released in due time. There’s no doubt that Samsung is working on foldable phones since it’s been toying with flexible displays called YOUM for half a decade. We’ve already seen a bunch of their prototypes floating around the Internet and it’d be a breath of fresh air for smartphones. It will allow phone makers to step out from the boundaries of using a rigid rectangular design and build more fluid devices. In addition to the foldable phone, Koh also revealed that Samsung will be joining the smart speaker ecosystem later this year. Oh yes, Bixby is going graduate and move forward from the confines of the Galaxy flagship devices into a smart speaker. Who didn’t see that coming? Putting the smarts of their AI assistant into a speaker is the next rational move for Samsung, who’s not willing to let the smart devices revolution pass by without giving it a fair shot. It has already expanded Bixby to work in conjunction with TVs, refrigerators, and even a prototype connected car, so a smart speaker doesn’t sound that tough a job for the company. There is no word on the launch of the speaker as of yet. It could be launched alongside the new Galaxy Note later in the year.